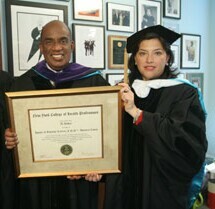 Al Roker receives Honorary Doctorate from President of New York College of Health Professions. 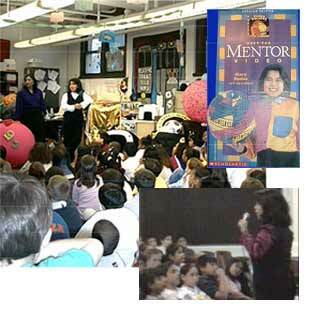 Innovation Fund LLC has a major commitment to education. This commitment extends from new technologies that are designed to computerize early learning, and narrow the digital divide by having computers "talk" to babies using both non-verbal or parts of verbal communication. These technologies can be used with infants and as well as be employed in medical centers where the elderly or infirm can communicate with medical personnel via computerized speech recognition. 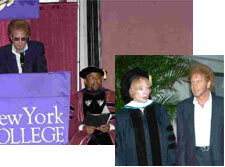 Mary Rodas, who has worked closely with the companies since she was 14 years old, frequently visits elementary schools, while the Chairman of Innovation Fund is also the Chairman of New York College of Health Professions and interacts with leaders in education at all levels. Big AL (Assisted Learning) systems are one of the largest portfolios of Innovation Fund and include technologies for early learning and long distance learning, as well as many groundbreaking technologies in Internet education production and transmission. The company has also expanded its reach to the People's Republic of China, where it is designing an International Health City and planning the educational and medical parameters for one of the largest retirement communities ever envisioned in the world.